1000's of Office Chairs In Stock! If you need a large quantity of office chairs quickly you've come to the right place. 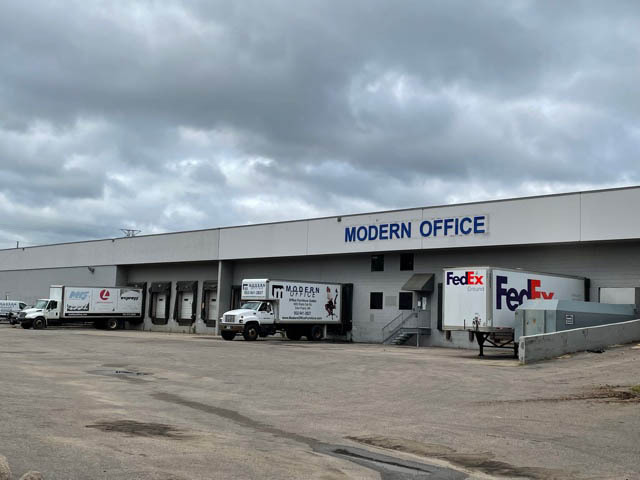 Modern Office stocks thousands of office chairs right here in our own warehouse for immediate shipment from Minnesota. 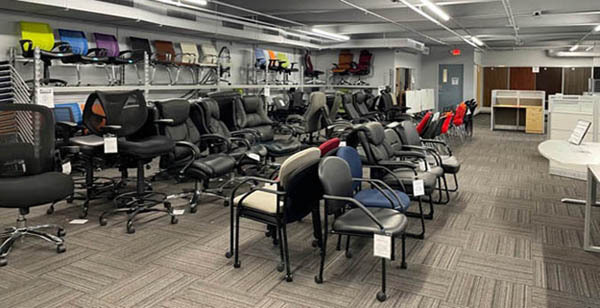 We stock ergonomic chairs, desk chairs, stack chairs, drafting stools, "big and tall" chairs, 24/7 chairs, reception chairs, and more. Many customers have relied on Modern Office to provide office chairs to them under a tight schedule. A customer in Ohio recently opened a new 911 emergency dispatch center. Only two days before opening they realized the vendor they chose for supplying their chairs was not going to make delivery in time. 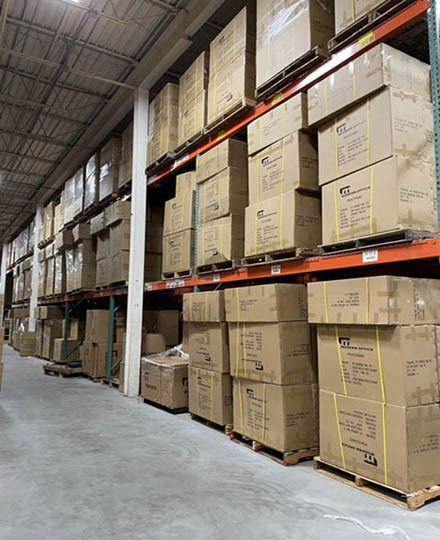 They found Modern Office's www.InStockChairs.com online store on a Wednesday morning, ordered twelve 24/7 dispatch chairs, and received them on Friday in time for their opening date -- all with standard free ground shipping. Another customer needed 75 ergonomic chairs delivered to New York by the end of the week for their telemarketing event. Other office chair suppliers they checked with didn't have enough chairs in stock. 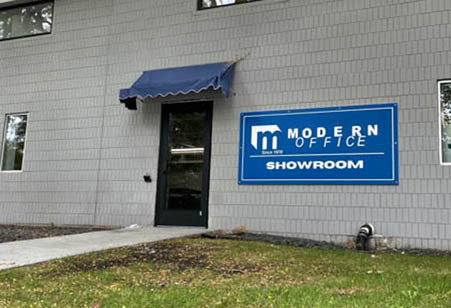 They ordered all 75 chairs from Modern Office on a Monday and received their chairs on Thursday. Most online stores rely 100% on manufacturers to drop-ship orders to their customers for them. This means they are always subject to limits on inventory beyond their own control. If a chair is popular their orders stand in line behind the orders of their competitors waiting to be fulfilled. They don't know for sure that an order can be fulfilled until it actually goes out the door. In the meantime they wait...sometimes for a few days for tracking numbers that may or may not eventually turn up in their email. InStockChairs.com takes away that doubt so that you know your order of office chairs is on its way to you without waiting days for tracking information. Call Modern Office at 1-800-443-5117 with any of your office chair questions. Our knowledgeable customer service representatives average over 12 years of experience. Or visit us at www.InStockChairs.com.